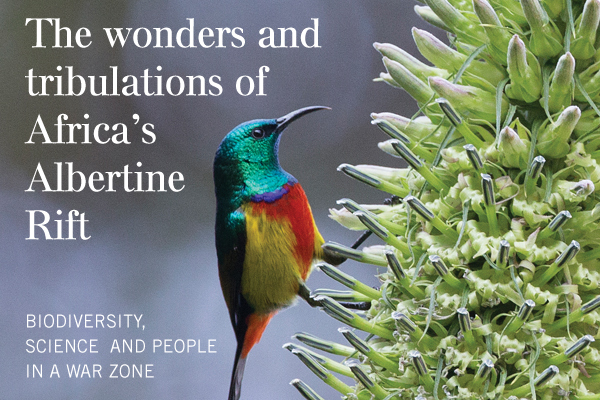 The Albertine Rift in central Africa possesses some of the richest biodiversity on the continent, and yet it is still poorly known. It is has also been a region of tremendous human conflict. 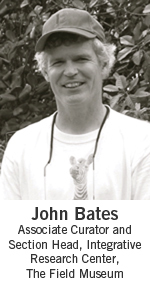 Despite these issues, life goes on and John Bates and his Field Museum colleagues have, for the last 10 years, worked with Congolese scientists to increase knowledge and understanding of biodiversity in the region and build regional capacity to study and conserve that biodiversity. Bates will introduce this incredible region and the dedicated people who live there, along with some of the discoveries that are coming out of his research.